Have fun with this spring backyard scavenger hunt! Your kids will love searching for signs of spring in their backyard! Make sure to download the free printable! 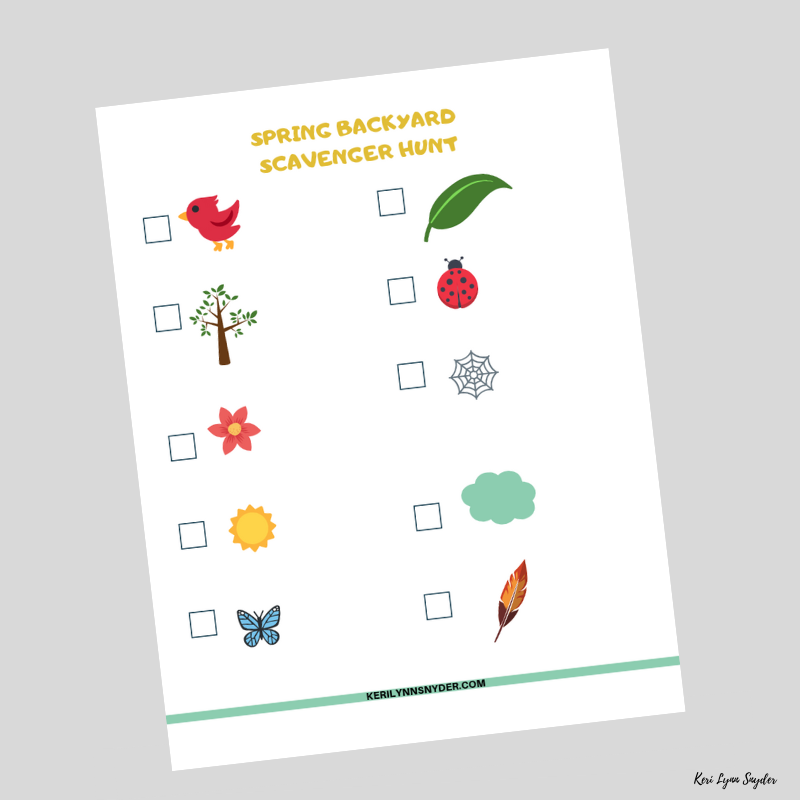 A spring backyard scavenger hunt is the perfect way to celebrate springtime! Kids love being able to be outside and explore, especially after a long winter! In order to have fun with this family activity, all you have to do is download and print the scavenger hunt. Since weather can be unpredictable this time of the year, you can also use this as an I Spy game from inside. Just have your kids sit by a window and look for the items. As you head outside, remind your kids they do not need to find everything on the list. They can even add items that they may find! After the scavenger hunt, sit down and share what you found in the backyard! We love using clipboards for holding our scavenger hunt printables. I usually print one printable per child as they love being able to look on their own. Another fun addition is to grab some little magnifying glasses. You can usually find clipboards and magnifying glasses from the Dollar Store! Then just keep them on hand for your next exploring moment! 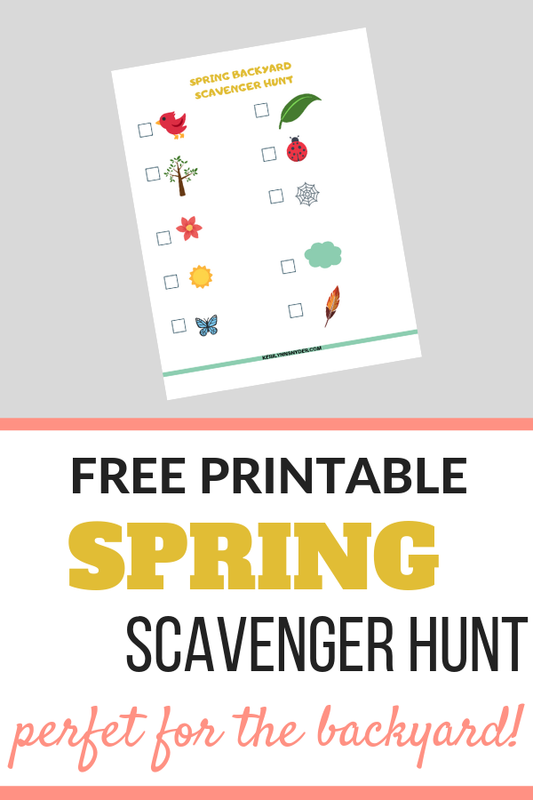 As with all of the family fun printables, the scavenger hunt is a simple way to connect and have fun as a family! What are some fun activities your family likes to do during the springtime?